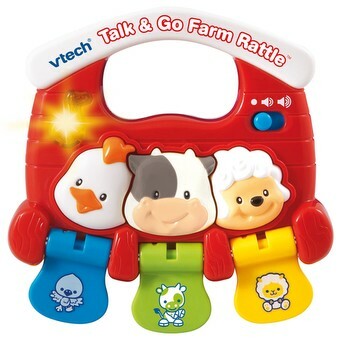 Lay the tracks for early learning with the Sit-to-Stand Alphabet Train™ by VTech®! 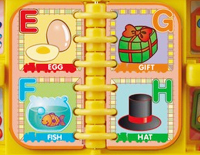 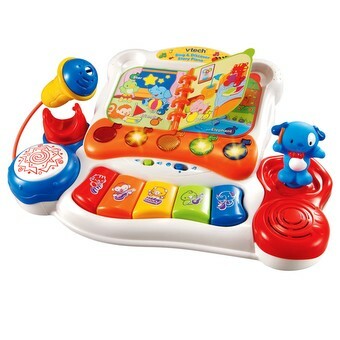 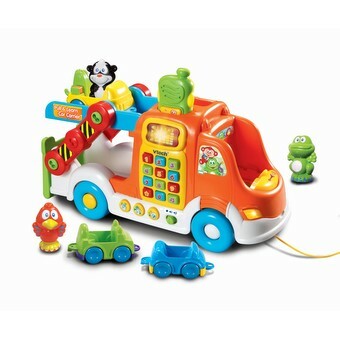 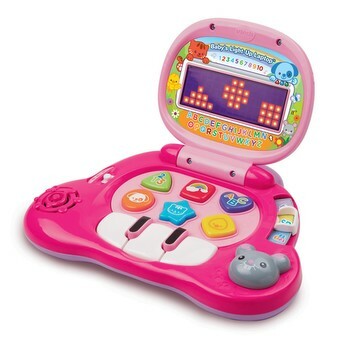 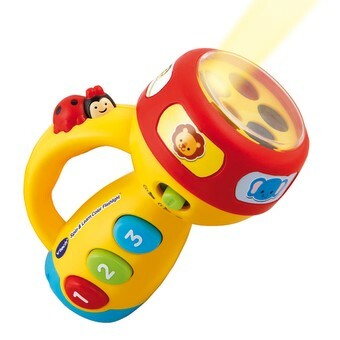 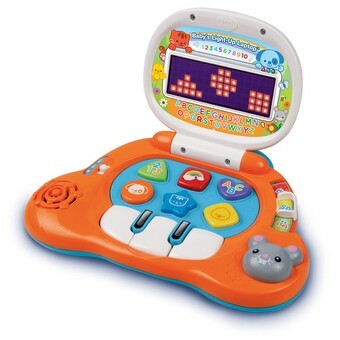 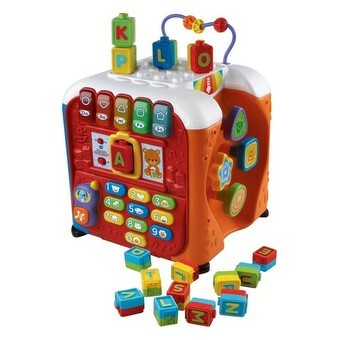 This electronic learning toy offers three stages of grow-with-me play as it teaches letters, numbers, colors, songs, stories and more! 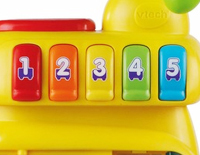 Thirteen double-sided letter blocks, a book with six turning pages, five colorful number buttons and lots of mechanical play provide your child with endless playtime fun and learning as they develop their motor skills. 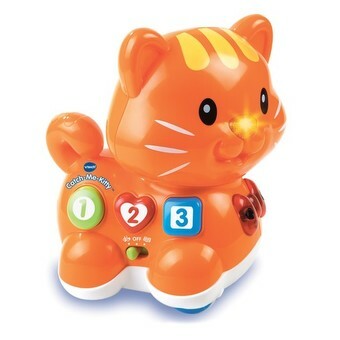 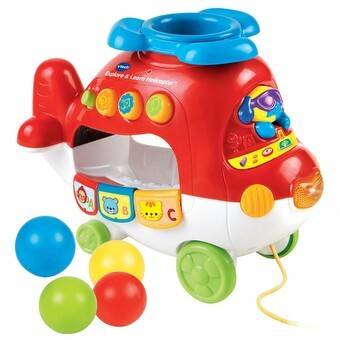 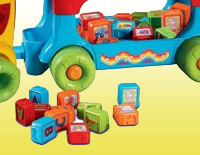 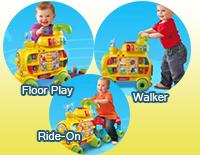 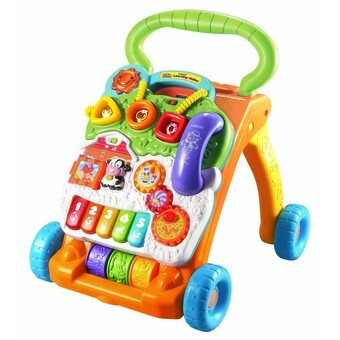 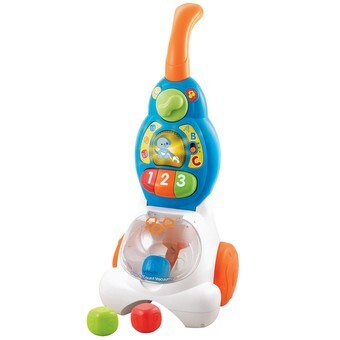 Use alone for floor play, push along as a walker, or attach to the carriage as a ride-on toy. 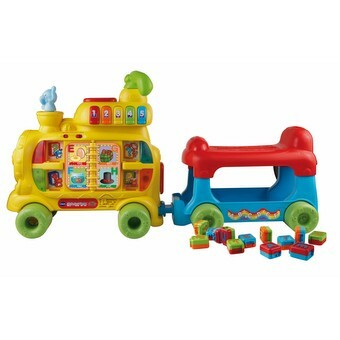 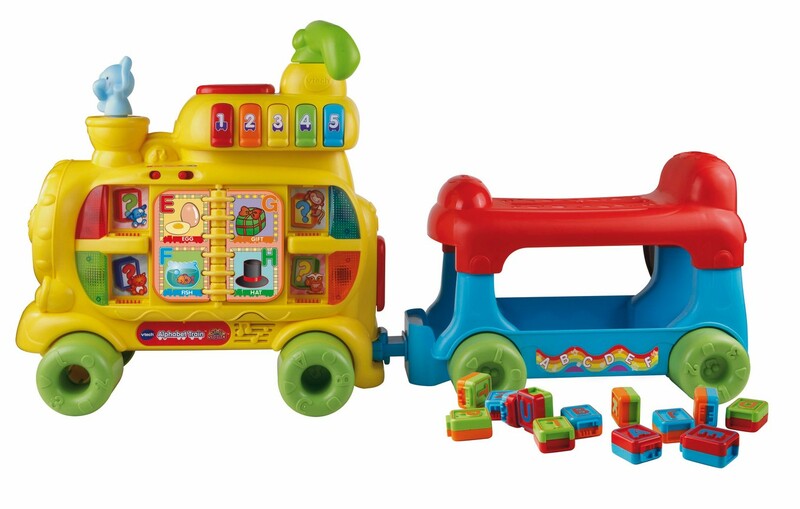 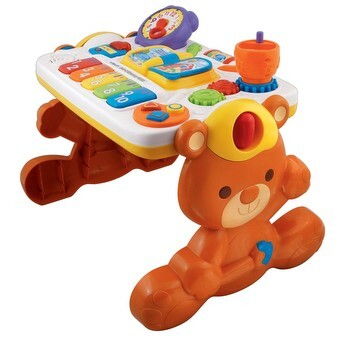 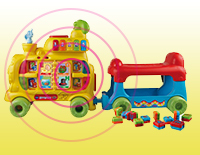 With so many ways to play, the Sit-to-Stand Alphabet Train™ is endless playtime learning fun!